The Missing Peace Center for Anxiety offers a variety of modalities to help ease the nervous system and restore the brain, body, mind and spirit to a place of calm and relaxation. Indulge yourself in care. Therapy combined with modern technology help facilitate the brain to return to it’s senses and the feeling of well-being. According to Founder and renowned therapist, Laura Rhodes-Levin, LMFT., it is so important to incorporate both mind and body. Simple talk therapy is wonderful, but we are limited by the natural states of anxiety our bodies have developed over the years. Laura loves sitting with clients face to face every week to better understand the sources of their anxiety. The therapeutic relationship is vital to mental health. In addition to the psychotherapy she incorporates a variety of options to help align the body with mind at the same time. Face to face talk therapy. What you think effects how you behave. CBT helps to work on core beliefs. When you look through the lens of anxiety, trauma, and depression you operate out of fear. The idea behind this therapy is to aid you in how you think about your issues, which informs your actions. When fear leaves your thoughts, your actions and life become very different. Some cases of anxiety involve trauma and or/phobias. which can cause your world to become smaller. Certain memories may trigger uncomfortable thoughts or flashbacks. They are different for everyone. Maybe you can’t drive a car anymore, or go out very much. Perhaps the thought of going in a plane or on elevator, limits your ability to live the life you want. Our center takes very gentle and realistic steps toward helping you to live your life again with small and brief sessions that help us to better understand how your anxiety speaks to you, and how to change the dialogue in your head to aid you in conquering the trauma or fear that is trying unfairly to control your life. To put it very simply, imagine that you just looked in the mirror for the first time. You might notice that your hair is a mess. You have something stuck in your teeth. You have some dirt on your face. Now that you have had the chance to see it you begin to clean yourself up. Neurofeedback is like a mirror for the brain to see itself. It gives the brain a chance to clean itself up. Neurofeedback has given us the ability to treat causes rather than symptoms. Neurofeedback does not involve surgery or medication and is neither painful nor embarrassing. Typically patients find Neurofeedback to be a relaxing experience. A typical course of sessions takes 20 to 40 visits. IMAGINE being able to change your brain in 20-40 sessions??!! At the beginning of each session the patient reports the course of his complaints and also mentions other mental effects. On the basis of this report the therapy may be adjusted. Neurofeedback has been used for years by NASA and The Armed Forces. Studies show Neurofeedback has been able to help people with anxiety, depression, ptsd, insomnia, addiction and ADD/ADHD. Alpha simulation allows our brain waves to shift into a more relaxed and suggestible state. Literally “come to your senses” as you take off your shoes, walk into the sand, smell the coconut, hear the ocean, and listen to a guided meditation or some music allowing the anxiety voice to slip away while you relax. While wearing your alpha stimulation device lay back in a comfortable chair and witness a simulation of floating through space and time in the starlight room. The Missing Peace Center offers a variety of groups and classes. Their incredibly gifted Art Therapist is great at getting the clients to release and better understand their anxiety by executing a piece of art, and having a chance to sit with the art therapist and process their creations. You don’t have to be an artist to experience the wonderful relief this class has to offer. The Missing Peace Center also offer classes in Meditation and Breath Control for Anxiety. Their massages are customized to each client depending on the areas of the body that hold stress. Our bodies are direct connection and are deeply reactive to anxiety. By relaxing the body as well as the mind our internal circuits are in harmony, creating a sense of calm and well-being. Art therapy does not require you to be an artist. Anxiety, trauma and depression are stored in many parts of our brains and bodies. The opportunity to express our feelings through color and tactile experience, allows to approach our pain that is stored deep inside other parts of self. Our olfactory senses are very powerful and have the ability to trigger or soothe anxiety. Have a one to one session with an aromatherapy professional who will sit down and customize a group of scents that cause the body to relax with just one whiff. 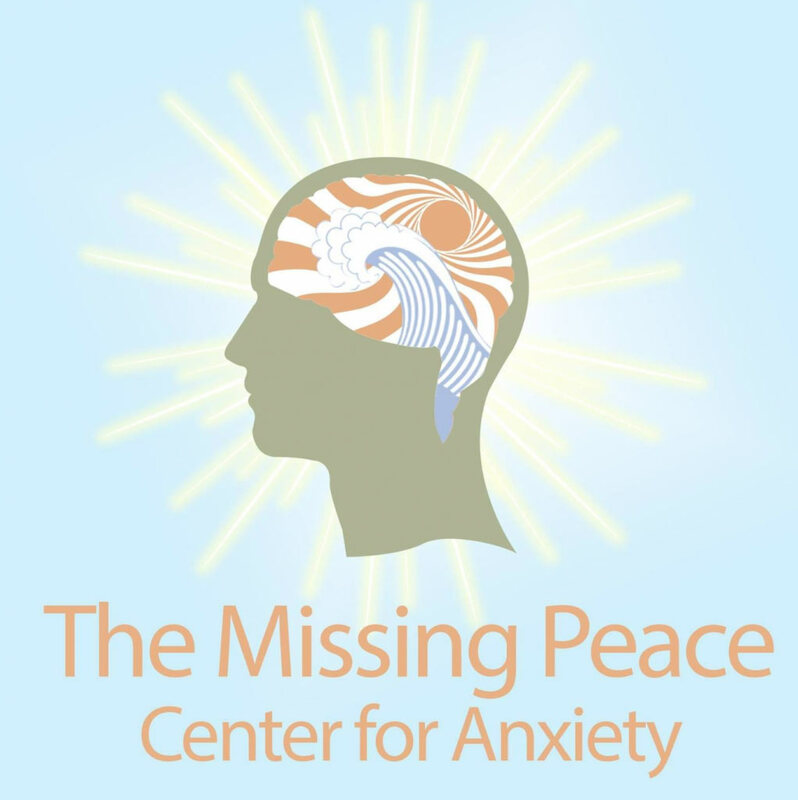 For more information on The Missing Peace Center for Anxiety, please click here.